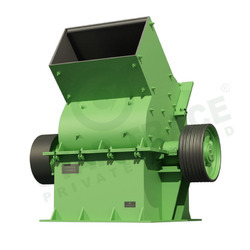 We are presenting Hammer Mill Machine from our impressive gamut of Industrial Crushers. These are used for wet and dry crushing operations involving brittle or semi hard materials in mining, cement, and other industries. It uses series of rotating hammers to obtain desired particle size. The products that are not crushed to required size are crushed until the desired particle size is obtained. It is very easy to operate as well as maintain and can be availed at reasonable prices. We are presenting Automatic Hammer Mills from our impressive gamut of Industrial Crushers. These are used for wet and dry crushing operations involving brittle or semi-hard materials in mining, cement, and other industries. It uses series of rotating hammers to obtain desired particle size. The products that are not crushed to required size are crushed until the desired particle size is obtained. It is very easy to operate as well as maintain and can be availed at reasonable prices. We are presenting Industrial Hammer Mills from our impressive gamut of Industrial Crushers. These are used for wet and dry crushing operations involving brittle or semi-hard materials in mining, cement, and other industries. It uses series of rotating hammers to obtain desired particle size. The products that are not crushed to required size are crushed until the desired particle size is obtained. It is very easy to operate as well as maintain and can be availed at reasonable prices. 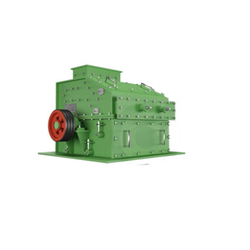 We are presenting Jaw Crusher from our broad assortment of Industrial Crushers. These are extensively used in mining, road construction, metallurgical industries, and so forth. It offers even composition of output and is simple in construction with low operating costs. It features safe and dependable lubrication system and easy to remove accessories. It offers excellent flexibility due to adjustable discharging system to cater to different customer requirements. It has a flawless crushing chamber with no dead space. In addition to manufacturing roll crusher we are engaged in the manufacture,supply and export of a broad assortment of Industrial Crushers. The Roll Crusher is commonly used in mining industries for ore crushing with even distribution of product size. It facilitates adjustment of particle size of final output. It produces fine particles without forming dust. These are also used in the production of hollow or thermal bricks, paving blocks, and so forth. We use the best grades of basic components that are procured from reliable vendors to produce these. The Impact Crusher is suitable for processing side not exceeding 500mm, the compressive strength less than 350 mpa various coarse, medium and fine materials (granite, limestone, concrete, etc. ), widely used in water and electricity, highway, artificial sand and gravel and aggregates, gravel production, crushing and other industries. Crusher is a senior road surface and hydro power construction with aggregate ideal processing equipment, with its excellent performance and good performance in highway construction, hydraulic engineering and architectural gravel processing and other fields with a wide range of applications. Crusher is a new high-efficiency crushing equipment, which is characterized by small size, simple structure, large crushing ratio, low energy consumption, large capacity, uniform particle size, and selective crushing effect, is very promising devices. Simple structure, small size, light weight, large capacity, so the production cost is low. inlet large, high crushing chamber adapted material hardness ore crushing along the joint plane, so less power consumption, high efficiency large crushing ratio, up to 40, so you can simplify the crushing process, can make two or three stage crushing become a broken, reduce plant equipment costs; the back plate and the board hammer gap can be easily adjusted, effective control of the particle size, particle shape high chrome plate hammer, impact resistance, abrasion resistance, impact force; key less access, easy maintenance, economical and reliable; crushing full-featured, high productivity, little mechanical wear, high overall efficiency; a selective crushing effect, and more uniform particle size of crushed product, the majority of the cube shaped pebbles. for bridge construction, high-speed road, port, airport construction has a wide application. We are presenting Hammer Mills from our impressive gamut of Industrial Crushers. These are used for wet and dry crushing operations involving brittle or semi hard materials in mining, cement, and other industries. It uses series of rotating hammers to obtain desired particle size. The products that are not crushed to required size are crushed until the desired particle size is obtained. It is very easy to operate as well as maintain and can be availed at reasonable prices. Scope of supply: Hammer mill, motor, pulley, belt, mounting, frame, and bearing units. When hydraulic cone crusher is working, motor drives the eccentric sleeve to rotate. The eccentric sleeve drives the transmission shaft and cone part to make swing movement. When they swing to the extent that the surface of the crushing wall is close to the roll mortar wall, the rocks and ores are pressed and crushed of single cylinder hydraulic cone crusher. Joint between supporting sleeve and frame is compressed by spring. When metal block and other materials that can no be crushed fall into the crusher, spring will be out of sharp and discharge the objects of single cylinder hydraulic cone crusher. 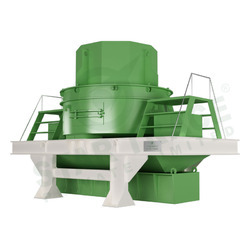 When the materials that can not be crushed pass through the crushing chamber or the machine overloads, the spring safety system makes the cone discharging hole become larger. When objects are discharged from crushing chamber, discharging hole will automatically reset. 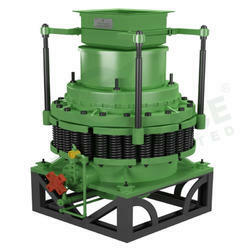 Cone crusher resumes normal operations of single cylinder hydraulic cone crusher . The surface of crushing chamber is covered with wear-resisting high manganese steel lining plate. Size of discharging hole can be adjusted hydraulically or manually hydraulic cone crusher. Spring cone crusher consist of frame, transmission device, hollow eccentric shaft, bowl-shaped bearing, crushing cone, springs and hydraulic pressure station for adjusting discharge opening. During operation, the motor drives the eccentric shaft shell to turn around through a horizontal axle and a pair of bevel gear. The axle of crushing cone swings with the force of eccentric shaft shell so that the surface of the crushing wall is close to the roll mortar wall from time to time. In this way, the ores and rocks will be pressed and crooked and crushed. The cone crusher is widely used in fields of metallurgy, building materials, high road, chemical industry and silica and so on.and suitable for kinds of mining stone and rocks with the middle and upper hardness. The cone crusher has features of tight structure,efficient product,adopts bowl type shaft with high precision reserve, and focus lubrication system, easy adjustment and the spring can product the all the equipment. 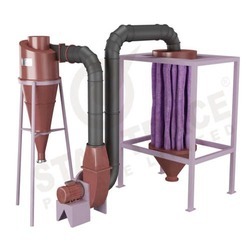 The cone crusher can avoid the moisture mixed with the oil,and the spring can make up for the air proof,when the air proof wear out about 1/4-1/3,must to exchange the air proof in time. 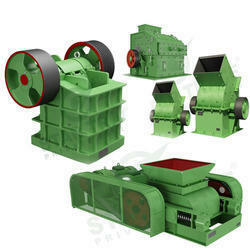 Easy and low cost maintenance,it is the best choice of middle and fine crushing process. Single Toggle Jaw Crusher is ideally suitable for primary and secondary crusher for material with compression strength less than 320mpa. Jaw crusher is of high crushing ratio, larger capacity, well-distributed final product size, simple structure, reliable performance, convenient maintenance, lower operation cost, etc. 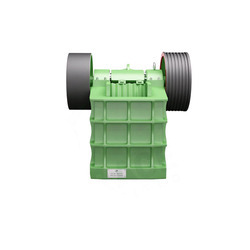 it is widely used in mining, metallurgy, construction, highway, rail road, and water conservancy, etc. Fixed Body: the main component of the fixed body is rack, which has two manufacturing engineers: carbon steel casting rack and carbon steel plate welded rack. welded rack can achieve the same effect as casting rack through strict quality control and specific process requirements. 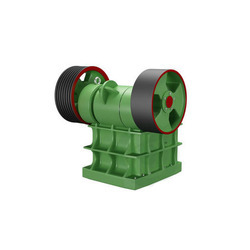 Rotating Body: it is composed of moving jaw, eccentric shaft, bearings, pulleys and other parts, and it is the main part of the jaw crusher transmission and endurance. Adjustment Device: it is used to adjust the size of discharging mouth and control the discharging granularity. Hongxing jaw crusher has two forms: long wedge type and plunger gasket type with convenient and flexible adjustment, can achieve step less adjustment. Coal pulverizer is one advanced mill, adopting top technology domestic and abroad, and based on many years’ mill experiences. it can crush, dry, grind, and classify the materials. coal pulverizer can be widely used in such industries as cement, power, metallurgy, chemical industry, non-metallic mineral. 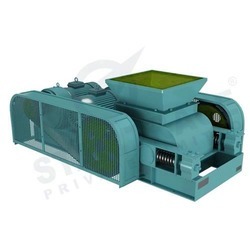 it is used to grind granular and powdered materials into powder with required fineness. Low investment cost. this mill itself can crush, dry, grinding, classifying, so the system is simple, and occupation area is about 50% of ball mill system. in addition, it can be installed outside, so it will reduce a large number of investment costs. Low operation cost. high efficiency: roller compacted materials directly onto the grinding disc, so power consumption is low. compared with ball mill, it saves energy consumption by 30% ~ 40%. less wear and tear: as the roller is not in direct contact with the disc, and material of the roller and liner is high quality, so life lime is long. High drying ability. as the hot air inside contacts directly with the material, drying ability is higher, and it saves energy. by regulating the air temperature, it can meet requirements with diffirent humidity. Simple and reliable operation. it is equipped with automatic control systems, so remote control makes it easy to operate. it is equipmented with one device,which prevents the roller from contacting with the liner directly, and avoids the destructive impact and severe vibration. The stability of product quality. as the material stays in the mill for a short time, it is easy to detect and control the product particle size and chemical composition, to reduce duplication of milling, stable product quality. Maintenance convenience. by reparinging fuel tank, rotating the arm, it is fast to replace the roller sleeve, and liner, and reduce the downtime loss. Environmental protection. it is with small vibration, low noise, and the overall sealing. the system works under negative pressure, so there is no dust going out. it meets the requirements of the state environmental protection. Coal pulverizer has two pairs of grinding rollers, each pair of roller composed of two narrow rollers, mounted on the same axis and can rotate at different speeds. there are two circular disc slot, and roller to the tire shape, work pressure in the tank. disc roller and the relative sliding velocity between small and roller can swing, even if the roller sleeve and the disc after the liner wear can guarantee a good abrasive, will not affect the grinding effect. roller symmetrical structure, one side can be upside down after use and wear. material grinding process: hydraulic pneumatic roller device through the pressure applied to the material on the crushing of materials, the materials have been moved to crush the edge of disc, from the disc around the nozzle from the exhaust air to improve these materials to separator.meal to separate returns after a concentrated mill, fine powder was collected in the precipitator unloading. in the gas flow is small, the meal can not be increased to enhance air flow, they would fall through the nozzle discharged outside the mill, bucket elevator to be transported to the feeder of coal pulverizer and was re-grinding mill feed people. 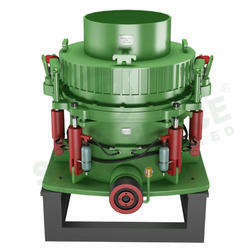 Pulverizers are recommended for medium fine grinding of soft semi hard materials. Appropriately sized mill chamber prevents build-up of deposits and blocking of the machine by fatty & sticky products. Cool powdering operation retain vital properties like color, taste, flavor etc. To its optimum levels. Changeable grinding elements offer versatility to cater applications like pulverizing,de-fiberizing wet grinding, mixing, de-agglomeration, dispersion, hot air drying etc. This is of paramount importance to the user. Centrally fed material gets powdered step by step between rotor and stator, moving radically outward for a bottom discharge through sieve. Clearance, configuration & grinding element design determines results. The Vertical Shaft Impact Crusher is also called sand maker. star trace develop this domestic, international, advanced level efficient crushing equipment combining the actual situation in domestic sand making, and it is based on the “stone hit stone ”principle and technology. it is widely used in all kinds of hard and brittle materials for medium, fine crushing. Such as, rocks, abrasive, refractory, cement clinker, quartz, iron ore and concrete aggregate and so on, and building sand, building road gravel are the most appropriate. Material falls down to impellor cavity. under great centrifugal force, it hits material that coming downwards. after hitting each other, they force a vortex between impellor and shell, and hit each other several times, finally smaller stone comes out, and goes to vibrating screen. Satisfactory material is transported by conveyor belt. However overlarge material will go back to vertical shaft impact crusher to be re-crushed. Output sizes can be made according to customer’s requirement. Simple and reasonable structure, lost running cost. It has fine crush and coarse grinding function. It is little affected by the moisture content, and the content can get up to about 8%. It is suitable to crush medium hard, hard special materials. Excellent product of cubic shape, and small fraction of elongated flaky particle shape. Small wear from impeller liner, and easy maintenance. Working noise is lower than 75 decibel, dust pollution. The grain-size is adjustable. between two rollers equipped with wedge or gasket adjusting device, wedge adjusting device upper have adjustment bolts, when adjustment bolts pull wedge block up, wedge block will move roller from fixed wheel, namely the clearance between two rollers enlarge, then the grain-size enlarge. When wedge block downward, the grain-size de-crescent. Gasket device through increase or decrease the number or thickness of gasket to adjust grain-size, when added gaskets that two roller clearance enlarge, the grain-size enlarge. While decreased gaskets that two roller clearance de-crescent, the grain-size de-crescent. Actuating device is driven by two motors, pass the triangle belt drive to Geneva wheel then drag the roller, according to the relative direction rotating. In crushing material, material pass feed port through roller, rolling and broken, the broken finished product discharged from chassis below. The roller crusher is widely applied in the industries of mining, building materials, chemical industry, metallurgy, etc. the roller crusher can crush materials with middle hardness or less than middle hardness into secondary or fine granularity, such as crushing mineral, rocks, coke, coal, slag, and fire-proof material etc. Soil pulverizer is made up of primary crushing equipment, secondary crushing equipment, air-transmission equipment, ect. motor drives rotor of grinding mill to move at a high speed, which produces striking force, compressing force, cutting force and friction against materials to be ground with high strength. this machine is also equipped with water-cooling system, so this machine has special function against fibre material, soft material, hot ductility material, light material, elastic material, tough material and other hard-to-grind material and material with speciality. This machine consists of case, big cutter head, small cutter frame, stage divider, feeder bin and other spare parts. 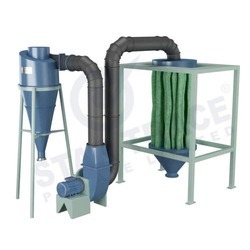 the motor makes triangle belt drive the crusher to rotate at a high speed to complete processed material smashing, conveying to dust removal and powder collection device via air blower. Used to process hundreds of peculiar materials such as various bamboo wood flour husk, Chinese herbal medicine, bark, leaves, wheat bran, giant arum, unreliable hemp, rice husk, corncob, stalk, starch, grains, shrimp skins, fish powder, seaweed, dehydrated vegetables, seasoning, paper, line board, plastic, chemical raw material, mica, graphite, bentonite, pearlite, distillergrain, furol, cakes, charcoal, activated carbon, cellulose, potato dregs, tea, hair, bean cake, cotton, cowhide, sheepskin, plant root, stem, leaves, flower and fruits. It is an ideal crusher of industries such as chemical industry, building materials, medicine, health care, cultivation, food, mosquito-repellent incense. 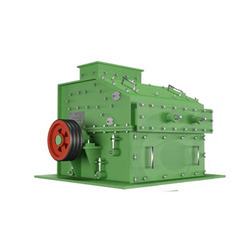 Double Toggle Jaw Crusher, which has been widely used in mining, metallurgy, highway, railway and water conservancy, is one of the most popular equipments in the mining production. Jaw Crusher is one perfect Iron Ore Crusher Machine widely used in many industrial fields, such as building, chemical, chemical fertilizer, metallurgy, mining, non metal, abrasive, bearing materials, ceramic, steel, thermal power, bricks & tiles, coal industry, etc. 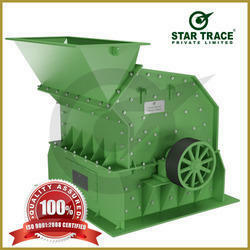 Star Trace is one top Double toggle jaw crusher Manufacturer in India. 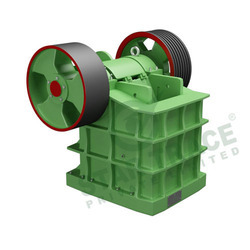 This Jaw Crusher's eccentric axle is divided into two parts, their eccentric distance are the same, the eccentric direction is opposite, in each part hanging a dynamic jaw head, the motor propels the eccentric axle through triangle belt by groove wheel, when the eccentric axle rotates, it makes the dynamic jaw do circle drip movement constantly according to the eccentric trail, on one side the dynamic jaw move to the fixed board to break the materials while the dynamic jaw departing from the fixed jaw board to discharge materials on the other side, alternative operation completes the whole process. Crushing plant turnkey solutions are offered by Star Trace. We are one of the leading project suppliers for stone crushing & screening plant and we work closely with our customers to fulfill their specific needs for a customized packaged solution. specialized in the fabrication of these machines for 25 years and this enables us to be in a leading position in the field of stone crushing & screening plant & equipment. 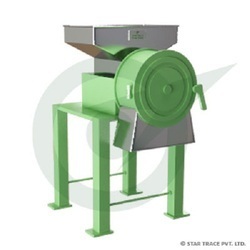 Star Trace is a professional Jaw Crusher manufacturer in India, which adopts advanced manufacturing equipment and technology to produce various crushing machines. Our jaw crushers are convenient to operate and are of reliable performance. These stone crushing machines are quite suitable for use in mining, metallurgical industry, road building, construction, chemical industry and other fields. In addition to Jaw crushers, we also offer vibrating screens, vibrating feeders, magnetic separators and mobile crushing plants, etc. These mining machines are good in quality and reasonable in prices. 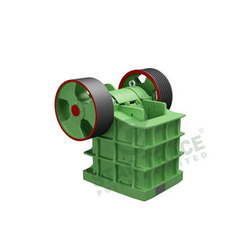 Jaw crusher is a kind of heavy duty machine which can crush materials into even granularity. This crushing machine has the characteristics of high reduction ratio, high productivity, simple structure, and reliable performance, etc. It is convenient to maintain and practical to use. Star Trace is a professional hydraulic cone crusher manufacturer in India, which adopts advanced manufacturing equipment and technology to produce various crushing machines. When hydraulic cone crusher is working, motor drives the eccentric sleeve to rotate. The eccentric sleeve drives the transmission shaft and cone part to make swing movement. When they swing to the extent that the surface of the crushing wall is close to the roll mortar wall, the rocks and ores are pressed and crushed of single cylinder hydraulic cone crusher. Spring cone crusher consist of frame, transmission device, hollow eccentric shaft, bowl-shaped bearing, crushing cone, springs and hydraulic pressure station for adjusting discharge opening. During operation, the motor drives the eccentric shaft shell to turn around through a horizontal axle and a pair of bevel gear. The axle of crushing cone swings with the force of eccentric shaft shell so that the surface of the crushing wall is close to the roll mortar wall from time to time. In this way, the ores and rocks will be pressed and crooked and crushed. Crusher is suitable for processing side not exceeding 500mm, the compressive strength less than 350 MPa various coarse, medium and fine materials (granite, limestone, concrete, etc. ), widely used in water and electricity, highway, artificial sand and gravel and aggregates, gravel production, crushing and other industries. Crusher is a senior road surface and hydro power construction with aggregate ideal processing equipment, with its excellent performance and good performance in highway construction, hydraulic engineering and architectural gravel processing and other fields with a wide range of applications. Crusher is a new high-efficiency crushing equipment, which is characterized by small size, simple structure, large crushing ratio, low energy consumption, large capacity, uniform particle size, and selective crushing effect, is very promising devices. Star trace is a professional jaw crusher manufacturer in India, which adopts advanced manufacturing equipment and technology to produce various crushing machines. Our jaw crushers are convenient to operate and are of reliable performance. These stone crushing machines are quite suitable for use in mining, metallurgical industry, road building, construction, chemical industry and other fields, in addition to jaw crushers, we also offer vibrating screens, vibrating feeders, magnetic separators and mobile crushing plants, etc. These mining machines are good in quality and reasonable in prices. 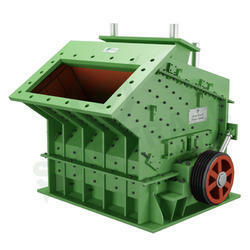 Jaw crusher is a kind of heavy duty machine which can crush materials into even granularity. this crushing machine has the characteristics of high reduction ratio, high productivity, simple structure, and reliable performance, etc. it is convenient to maintain and practical to use.It is a sort of Hammer Mills. 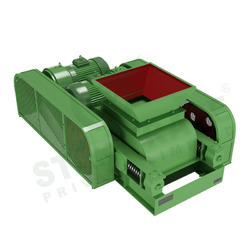 Star trace roll crusher can be referred to as compression-type roll crusher. in the mining industry, they are used to crush mines of medium or low hardness, rocks that have low or medium rigidity during mine selection, for cement, chemicals, and industrial production of building materials, among others. roll crushers have the advantage of producing a close distribution of the product size, in cases where the ore is not very abrasive, the maintenance costs are significantly reduced. theoretically speaking, the maximum reduction ratio of roll crushers is 4:1. for example, the smallest size that can be recognized by a particle is 1/2 an inch. using this machine, a material is crushed and reduced to a minimum particle size of 10 mesh (2 mm). the materials are crushed by compression between two rolls rotating about a shaft. the size between the two drools used for compression can be suitably adjusted according to the desired size of the end-product. it is important to note that the largest particle size of the materials inserted should not be more than four times the dimension of the gap. Impact Crusher is suitable for processing side not exceeding 500mm, the compressive strength less than 350 mpa various coarse, medium and fine materials (granite, limestone, concrete, etc. ), widely used in water and electricity, highway, artificial sand and gravel and aggregates, gravel production, crushing and other industries. Crusher is a senior road surface and hydropower construction with aggregate ideal processing equipment, with its excellent performance and good performance in highway construction, hydraulic engineering and architectural gravel processing and other fields with a wide range of applications. Star Trace Micro Grinding Machine offered by us is a high-speed hammer and screen mill that mechanically impacts process material, resulting in size reduction. This particular method of size reduction is characterized by minimum heat build up during the milling process, and short residence time and high energy. This machine is operated with he use of the relative motion between the mobile gears and fixed gears . It smashes the materials by the combined effects of the impact and the friction of the toothed gears, and the impact between the materials. Its structure is simple and sturdy. It operates smoothly and the crushing effect is good.The crushed material can be directly discharged from the grinding chamber. The size of the particle can be controlled through the change of the aperture sieve. The casing inner wall is processed to achieve a smooth surface. Star trace Coal Crusher with high speed rotation hammer to break the coal into pieces. coal crusher consists of simple structure, high crushing ratio and high production efficiency and can make two forms of crushing dry and wet. Star trace Coal Crusher used to make secondary and fine crushing for the medium hard and weak materials. When materials get into the area where the board hammer plays a part, under the impact function of board hammer at a high speed, the crushed ones are thrown to the impact device above the rotor continuously. And then they are rebounded from the impact liner to the area where the board hammer plays a part, and are impacted again. The materials from large ones to small ones get into the impact cavity for being crushed repeatedly. The process is going on until the materials are crushed to the required sizes and discharged from down of the machine. Looking for Industrial Crushers ?